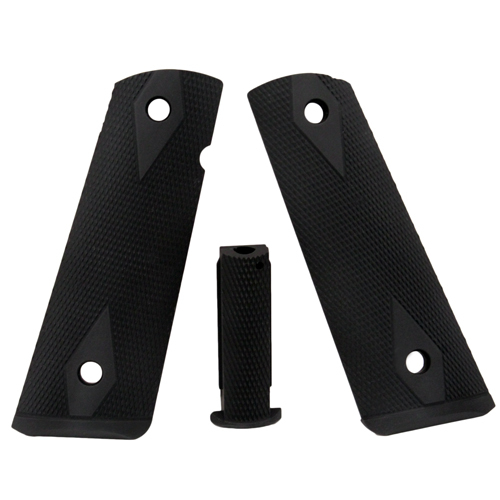 Hogue Aluminum Magrip (Mag Grip) Kits are the quickest and easiest way to add a magwell to your 1911! The Aluminum Magrip Kit comes complete with a set of precision machined Aluminum grip panels and a Aluminum mainspring housing. When mounted on your 1911, the unique design of the grip panels and mainspring housing creates an integrated magwell.